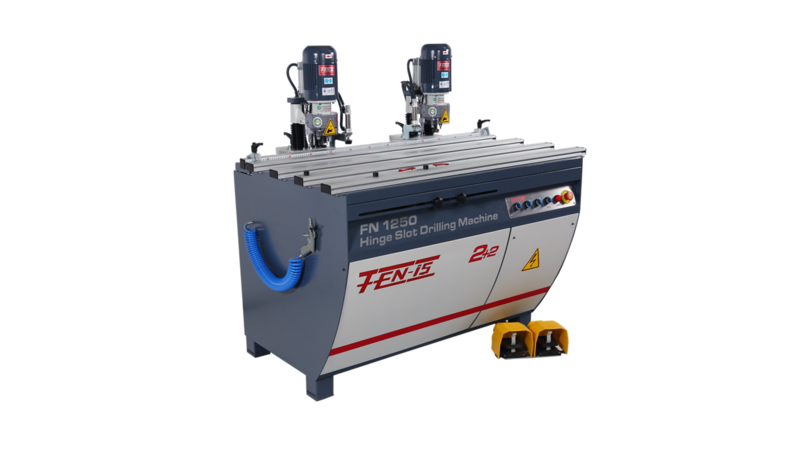 Hinge Slot Drilling Machine. Multi head, also available 3 and 4 head. - Drills hinge slots in desired sizes, slot depth is adjustable and drills reference holes in order to screw in the hinges. - Opens handle slots at the desired size. - Processing time of wooden metarials with min.-max. size is max. 10 secconds. - All motors can be moved to left and right. - Scale at the back gauge allows accurate and easy adjustment. - 2 hinges on the lid are removable in a single process during serial production.